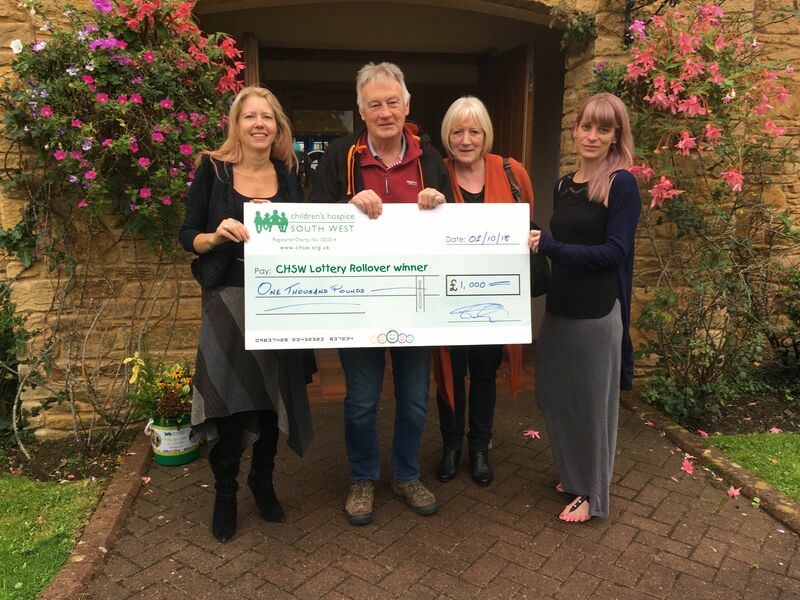 Children’s Hospice South West supporters Clive and Pam Flood are celebrating a £1,000 win in the charity’s weekly lottery draw. The Exeter couple only started playing the Children’s Hospice South West lottery 12 months ago after a chance knock on the door by a charity promoter. Clive said he’d heard a lot about the children’s hospice on television and decided to support the work the charity does for children with life-limiting conditions and their families by setting up a direct debit to play the weekly draw. The couple are no strangers to helping young people themselves, having offered supportive lodgings for teenagers aged 16 to 18 at their four-bedroom semi-detached home in St Thomas for more than two decades. And it was one of the young people they’d helped who took the call from the hospice notifying them that they’d won the August 24 draw. “Bobby took a message to say that we’d won,” said Clive, a retired earthmover, postman and former motorbike racer. The couple, who also raised nine of their own children before opening up their home to other young people, were due to head off to their beloved Northumberland on holiday the following week, so the £1,000 prize money couldn't have come at a better time. CHSW provides respite breaks, end of life and palliative care, and support for families through bereavement and beyond. It costs more than £10 million to run the charity’s three very special hospices in Devon, North Somerset and Cornwall, most of which comes from fundraising and donations. CHSW’s weekly lottery is a fun and easy way to support the charity’s work, with a chance of winning up to £1,000 in prizes each week. There is also a bonus rollover, which increases each week until one lucky player wins it.